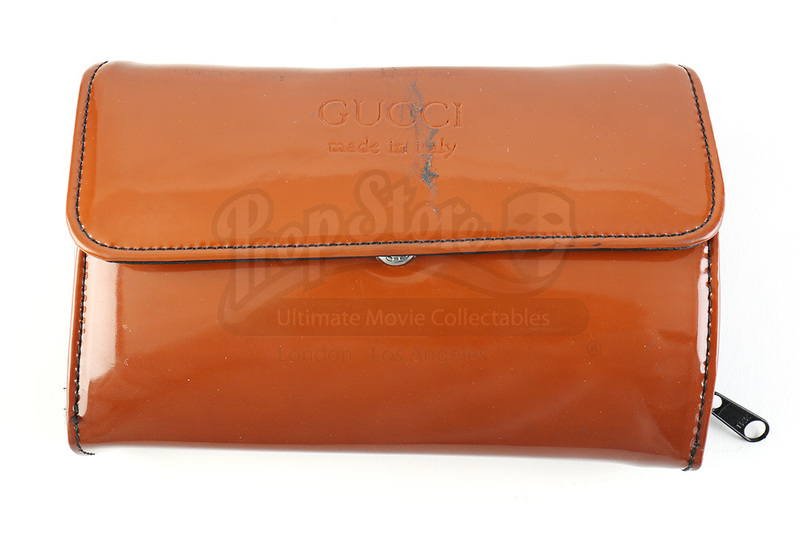 Laura's (Leslie Mann) wallet from the 2009 Judd Apatow comedy Funny People. In the film, after learning of his terminal illness, comedian George Simmons (Adam Sandler) hires young stand-up Ira (Seth Rogen) to work as his assistant and joke writer. Laura shows photos of her children to ex-fiancé George when he invites her over. 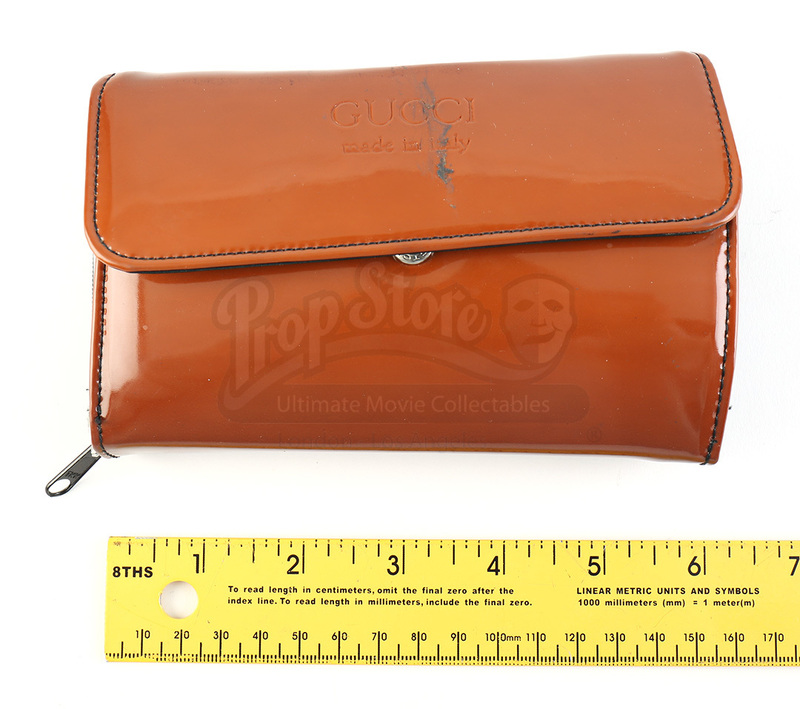 The brown wallet contains 13 card slots and features multiple prop credit cards with the name of the film's prop master on them. 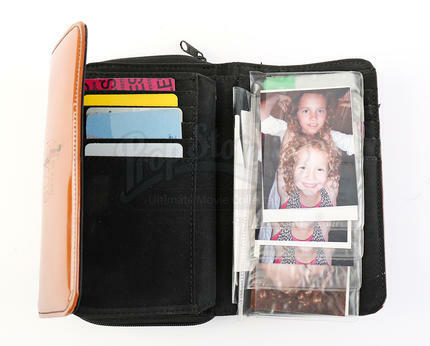 Multiple wallet-size photos of Leslie Mann and Judd Apatow's children are also included in the wallet. 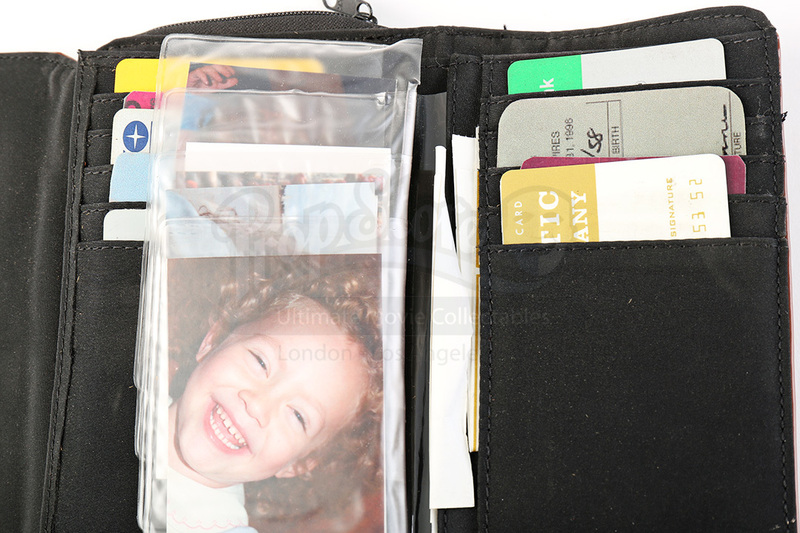 The wallet shows minor wear from production use and age, but it remains in good overall condition.